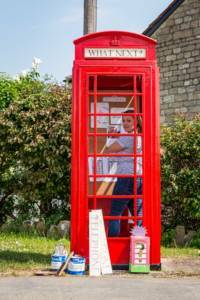 Two of Bradford on Avon’s lovely old K6 phone boxes were recently earmarked for removal by BT: one in Churches (near St Laurence school) and one at the top of Whitehill, (opposite Mount Pleasant). In a bid to save them, the Phoney Boxes project formed, comprising of volunteers Holly Taylor, Marsha Mars, Emma Franklin and Mick Stanger, who together approached Bradford on Avon Town Council to formally ‘adopt’ the boxes and pay for materials to restore them, which was granted. Now in full swing, and after some heroic sanding, cleaning and scraping during the cold snap, the project is well on its way to restoring these iconic boxes to their former glory and hopes to use them as community/arts spaces for exhibitions, information and other ventures. The Churches box has already had a new coat of paint and looks wonderful in the sunshine. One of the Phoney Box project members is Councillor Emma Franklin, who has grand plans to fill them with beautiful plants as part of our submission to South West in Bloom. A number of other projects have also expressed an interest, and the group would love to hear from you if you have an original non-static idea or similarly if you’d like to volunteer to join them in their work. 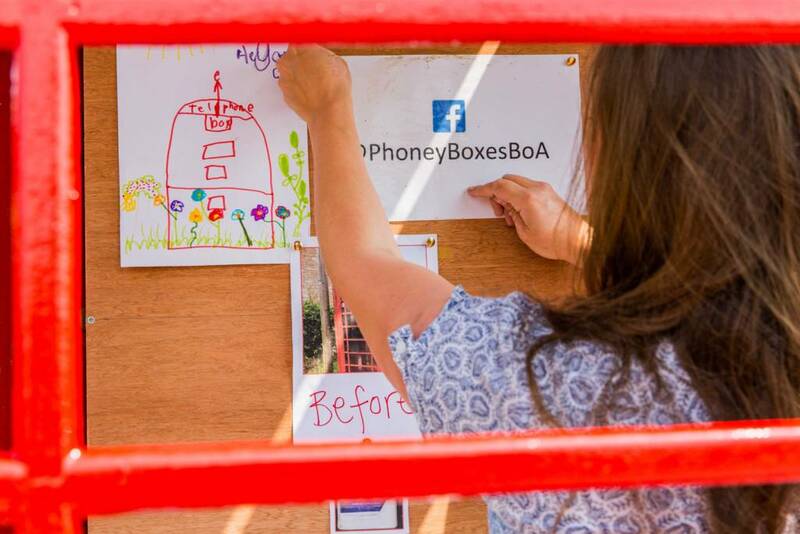 You can follow the project on their Facebook Page @PhoneyBoxes or email us to be put in touch.